Last week Dynacor Gold Mines Inc. TSX:DNG | OTC:DNGDF received its final operating permit to open the brand new Veta Dorada 300 tpd (tonnes per day) (102,000 tonnes per year) ore processing plant located in Chala, Peru. The opening of this mill significantly improves the small-scale mining service industry. Not only will the Company, its shareholders, its employees, and the government of Peru greatly benefit from this new state of the art facility, but most importantly so will the small scale miners themselves. It’s a classic win win scenario for everybody involved in the Dynacor ore processing business. 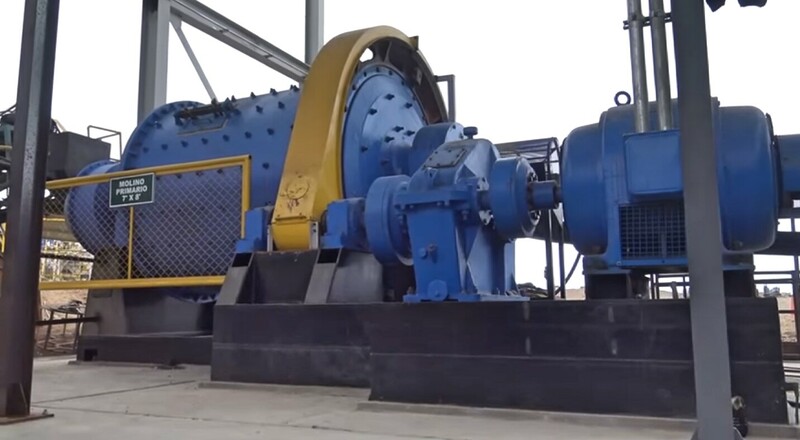 Since the announcement, the Company is receiving an influx of queries from the market on how much more profit this new mill will generate in the coming months. So let’s dive in to this exercise by breaking down the numbers and using the Company’s historical performance as a conservative guide. The advantage with Dynacor is the Company boasts 21 consecutive quarters of profit to back it all up. The Company provides a one-of-a-kind transparency tool for shareholders with its quarterly five-year performance review. The report posted on the Company’s corporate website breaks down over fifteen different valuation metrics. (see five-year performance review). Armed with the five-year performance review as our guide we can forecast the following. If we start at 300 tpd and use the old mill’s average gold grades (1 oz/t), recoveries (93%) and 340 days of operating as a comparable we can assume the following: Dynacor should produce in the neighborhood of 95,000 ounces per year, this is an increase of at least 40% from previous years. (see press release dated September 2, 2016). Now here is where it becomes very interesting and indeed quite simple to forecast future profits. Over the last three years, the old mill’s gross profit margin averaged 17% together with a three-year gold price average of US $1229/oz. Given today’s gold price is above US $1300/oz and the Company is on record for stating it expects a surge in profit margins due to plant modernization and economies of scale, we can assume if we use the old mill’s numbers to forecast the new mill’s profits, this model is quite conservative. Therefore if Dynacor produces 95,000 ounces at even the lower three year gold price average of US $1229/oz it will realize US $117 million in sales. Applying the old mill’s average gross profit margin of 17%, we find that the new mill should generate approximately US $20 million in gross profit. Given the Company’s current share count of 38.4 million we arrive at US $0.53 gross profit per share. Converting this to Canadian dollar at $1.30, it moves to CAN $0.69 per share. The new Veta Dorada plant was designed and built to facilitate future capacity increases in a stepwise fashion to 360 tpd, 450 tpd and 600 tpd. In the next blog post, we will go a few steps further by breaking these numbers down using 360, 450 and 600 tpd assumptions. Dynacor is a Canadian based profitable gold company active since 1996 with its mining properties located in Peru. SuperbCrew is a news website covering innovative technology and internet companies – sharing news, experience and knowledge from the tech world. The SuperbCrew community connects innovative companies and journalists. Stakeholder: What’s the plan for Tumipampa? Dynacor: This year we will invest much less on Tumipampa due to our priority of opening the new Veta Dorada mill in Chala. At this time, we are working on the surface collecting geochemical data in preparation for a new drill campaign on both the porphyry and disseminated breccia zones. Our 2016 exploration budget will be less than $1 million. Tumipampa is a massive property with a number of gold mineralized zones. It consists of the disseminated breccia, porphyry associated with skarn and veins. This is a full geological plate of mineralization. In order to establish drill targets, we must carry out more surface work. Our immediate goal is to mine and process our own ore from Tumipampa. We expect it could take us into 2018 before receiving the extraction permit. Currently we are investigating an alternative plan in order for us to start production much sooner. This could provide enough capital to fund Tumipampa’s ongoing development. If the alternative plan under review turns out to be feasible, we will issue a news release. Stakeholder: Do you need a NI 43-101 resource calculation before proceeding with the alternative plan? Stakeholder: What is the status of the NI 43-101 resource calculation? Dynacor: It is progressing on schedule as the independent research team is on site at this time. It will take the team 45-60 days after they return to prepare and write the report. The report is more than just a resource calculation; it is to include a full technical review covering the three different mineralized zones. The report consists of technical descriptions, images, maps and project recommendations. As well this will be Dynacor’s first ever NI 43-101 resource calculation. We are quite eager to receive the report, as it will render the Tumipampa project as an industry-approved source of recognition. We expect the report will attract more independent geo analysis and reviews. The full on technical report will also assist in the upcoming drill program which if proven successful will add more value. It is likely after summer and into September or October that the NI 43-101 resource calculation and technical report will be released. Stakeholder: What are the thoughts in taking on a partner for Tumipampa? Dynacor: We don’t need to invest a large amount of money on drilling to create more value at Tumipampa. The next drill program will involve many shallow holes. Taking on a partner at Tumipampa is still too premature. We believe there is more value to discover on the property before looking at partners. It will be better for us to spend $2-3 million dollars of drilling first, as that’s all it should take. There is more impact in having our drills hit something significant that could drive the stock price to much higher levels. Stakeholder: It sounds like the 2nd half of this year will be one of hitting some long awaited milestones? Dynacor: We agree that with the opening of the new mill, which will generate stronger financials together with our first 43-101-resource calculation, Dynacor will be in a positive position to start the second half of 2016. Stakeholder: What are the next steps? Dynacor: We expect the inspector from MEM to visit the Veta Dorada site in the beginning of June. In order to be absolutely certain of passing each step during the permit process, we have put in place extra precautionary moves by hiring two engineers. They have been assigned to pre-assess the site and review every facet of the plant before the official visit. It is unlikely there is anything that will prevent us from receiving the compliance license in June (Note: Dynacor Receives Compliance License, see news release dated June 13, 2016). Upon receipt of the license, Dynacor will immediately apply for its water usage permit from the Ministry of Agricultural and Irrigation (MINAGRI). The MINAGRI is well aware of our new Veta Dorada plant as we have been building a relationship over the last month. As per the new fifteen-business day permit rule, we expect to receive the water usage permit in two to four weeks. This should take us to the end of June or early July. Lastly, we need to receive the final operation permit from the MEM and the same rules apply taking about another two to three weeks. We are planning to hold the official ribbon cutting ceremony in September. Stakeholder: Have the warrants been exercised by the lender? Dynacor: No they have not. Stakeholder: Will these shares become available on the market? Stakeholder: What is the status of a dividend? Dynacor: We are on record as saying we will pay our first dividend when we are producing at a rate of 600 tpd. However, at this time, we are reviewing a plan in order to enable us to offer the dividend much sooner. The Company expects to generate much more sustainable cash flow from the new mill. In years past, Dynacor was making upwards of US $2.5 million dollars a quarter, but that was based purely on a higher gold price. The new mill will bring superior operational efficiencies and production increases thereby creating a much more sustainable environment for the dividend. Stakeholder: Please comment on the low amount of shares insiders own? Dynacor: It is important to understand unlike many other companies, Dynacor Gold Mines Inc. is a spin off of another company. The original board members in the parent company lost many shares due to the previous company’s bankruptcy. What is most important to us is to have members on the board that can assist the Company. There are many cases in the market where there are board members that hold a lot of shares, but bring very little value to the company. In the industry, it is frowned upon and not good practice to make it a requirement for new members to buy a substantial amount of shares before joining. Last year we hired an independent firm to review our situation and to advise on what is acceptable in terms of salary and shares etc. They informed us that when comparing to peers, Dynacor is in the top percent of what others are doing. Stakeholder: What is the the plan for Tumipampa? Stakeholder: How long will the price war last? Dynacor: We have been through these pricing situations many times before. We would expect this not to last long given our clear-cut advantages. If the price war occurs, it could possibly stretch out to a couple months. Our expectations are that by the second quarter of operation at Veta Dorada any pricing and operational transfer matters will be behind us. Therefore production together with margins should noticeably increase in the second quarter of Chala’s operation. Stakeholder: Is there a long learning curve in operating the new Veta Dorada mill? Dynacor: No. The new mill is the exact same process as the old mill. In fact while waiting for our final permit, we are taking advantage of the time by working out any start up issues. We have already started the pre commissioning phase and will shortly release a series of videos displaying the process testing. We have had a team of operators over the last month checking everything over. Firstly, the mill runs without any rock. Secondly, this week we will check the operating process with rock and water. Upon receipt of the final operating permit, which we expect this summer, the new mill will have been thoroughly tested many times and fully operational. This will enable us to have a very smooth start up. Stakeholder: Can we expect to see profit margins increase immediately? Dynacor: Not quite immediate as the plan is to start initially running ore through at a rate of 200 and 225 tpd while closely monitoring everything before moving beyond to full capacity. Due to this start up process, we should not expect to see the new and higher profit margins until the end of the first quarter of Veta Dorada’s operation. Stakeholder: What about silver sales and especially the drop in the last quarter? Dynacor: Due to the addition of our new buyer from Europe, there was a delay in the silver transactions during the first quarter. Much of what was produced during the quarter was sold in April and therefore will be part of the second quarter sales. The lower silver sales in the first quarter also lowered our profit by a bit. Still, the silver we receive is a by-product meaning we do not have any control over the amount of silver production. It is an extra bonus that comes with each delivery. We purchase the ore for its gold content. However, when our production and net profits increase, silver will start to play a larger role in our bottom line. Stakeholder: Can you comment on the upcoming political change and how it will impact Dynacor? Dynacor: It’s an election year in Peru. In the first term it was narrowed down to two contenders running for the presidency. The two contenders are Keiko Fujimori and Pedro Pablo Kuczynski. Update: The final results are to be released this week. Both contenders have said they plan to restart the small-scale mining formalization process. At this time, there are seven steps to the formalization process. However, this process has been stalled at steps three and four. There are hundreds of thousands of miners (estimates 300-400 thousand) in Peru. When they started the formalization process about 70,000 listed. Only 39,000 of these miners made it past the 2nd & 3rd steps. This tells us there are 100’s of thousands of miners that still need to go through the formalization process. The formalization process has been designed in a way that the remaining miners can no longer enter due to the fact the entry deadline was on April 20 2012. We are very pleased to hear that there is a strong desire from both Fujimori and Kuczynski to reopen the formalization process to the hundreds of thousand miners that didn’t make the cutoff date. We certainly cannot expect to see 100% of these miners make the grade, but consider if there are 50-60% more. It will make a major difference to our operation as a number of these newly formalized miners will make their way to Dynacor’s new Veta Dorada plant. Current President Humala’s term ends on July 28th. Whoever is in power at this time anticipates launching a new set of formalization rules shortly thereafter. Then we could see a huge opportunity to increase our capacity to 600 then 1200 tpd in the future. This new surplus of small-scale and newly formalized miners would open up much more supply for us. Over the next two years we could see another meaningful increase in our gold production. Even so with out this surplus of miners reentering the field, we are quite confident that we will be at 300 tpd by the end of the year. As everything we hear from our guys on the ground and in the market is that this is something we should be able to accomplish. Stakeholder: Can Dynacor increase its capacity by 20% at both the Huanca and Chala plants without a permit? Dynacor: Yes. Dynacor owns two milling assets with each 300 tpd permits in place. We may without the need of an additional permit increase the capacity at both mills to 360 tpd giving us a total of 720 tpd. Stakeholder: Could you provide a scenario whereby the Metallex mill at Huanca could play a role in the future production? Dynacor: What we will do with Huanca soley depends on how many tons we can buy. The Metallex plant at Huanca is an asset that just may surprise the market in the shorter term. When we expand the Veta Dorada plant at Chala to 450-600 tpd, we will need another expansion permit and of course additional construction. This together with the permit will take another 1.5 years complete. This is how the Metalex plant at Huanca fits in the shorter term; in the interim, let us say we can buy 450 tpd, we certainly won’t leave it there and just stop at 360 tpd. We will buy it all and immediately set a course to feed the Huanca mill. Stakeholder: Will a new crew of 200 employees be hired for the Huanca mill? Dynacor: No as we will do most of the work at the new plant. Purchasing, weighing, assessing grades and crushing ore will first be carried out at Chala. Then we will load ore onto our trucks and deliver it to the Huanca plant. A small crew of approximately 30 employees will be stationed at Huanca to process the crushed ore. The plan this year calls for us to transfer all the original production from Huanca to Chala and feed it to the maximum capacity. The Huanca plant gives us the flexibility on the upside. We expect to see one or two mills shut down once Chala opens. At the end of the day, if there is only one ore processing company that survives in Peru it will be ours. Stakeholder: Is there a concern about protesting by the small mills if the big new Veta Dorada plant is the culprit of the others shutting down? Dynacor: No. The other mill operators do not employ a lot of people, as they are small operations that only run at 20-30% of their capacity. The only other significant ore processor is privately owned Laytaruma. Today, they are the largest operator in the country. However, we will take the number one position over with the opening of Veta Dorada. In other words, the day is quickly coming when Dynacor will be the largest ore processing company in Peru. This, together with our solid reputation and longevity in the business will put us in a very strong position. We are preparing for a price war as soon as we open up Veta Dorada. We are proven veterans in this game, fought through and prevailed price wars in the past. We know what to expect. As a whole, we do not see any problems because we have a very good reputation and have all the support of our employees and suppliers.